The Kenworth T700 is basically an improved version of the old T2000 model. The truck features a conventional cab configuration with an aerodynamic design and was engineered to offer maximum performances for long haul and regional operations. TheKenworth T700 is available with both Day and Sleeper cabs and offers acres of space inside and a good ergonomy. The overall build quality is also good and the truck is among the most reliable units in its segment. 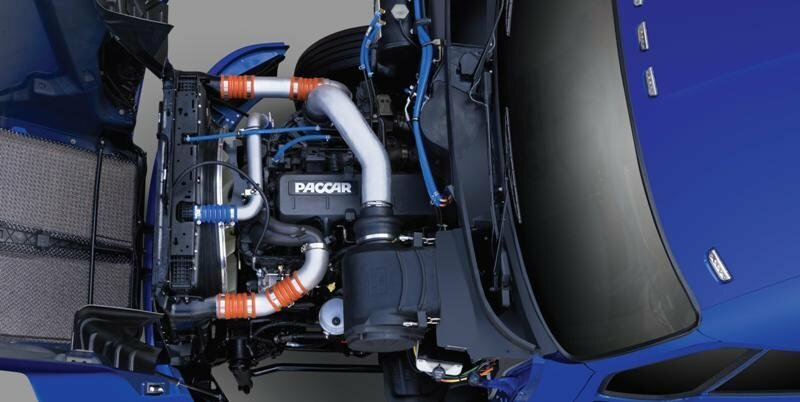 The power comes from a Paccar MX engine which develops up to 485 hp and up to 1,750 lb-ft of torque. Until the new T680 model was launched, the T700 was the most aerodynamic truck in the company’s lineup. However, it will still be very hard to notice the exterior differences between the T700 and the rest of Kenworth’s highway trucks. Yet, a closer look will reveal that the T700 has a slightly more aerodynamic design with accentuated fluid lines and a more slippery shape. The raked hood features a central crease which helps the truck to cut the air, while the fluid wheel arches flow seamlessly toward the doors and direct the air to the sides of the truck improving the drag coefficient. The raked roof, hood, headlamps, bumper and fairings combine and form a slippery shape that helps the truck to score a better fuel efficiency. The hood is made of three pieces, while the front bumper is also made of two individual pieces to keep the replacing costs to a minimum in case of a partial damage. The bumper is also constructed of advanced composite material that resists impact and is available either painted in the color of the cab or standard. The chassis fairings are made of the same material as the bumper and are available in three lengths - wheel to wheel, three-quarter to accommodate APU installation or under cab only. The truck is also fitted with LED marker lights in the roofline which improve the visibility, and also give the truck a dynamic appearance. The lightcluster’s design isn’t something to rave about, but is fitted with a high-intensity forward lighting system (halogen) that offers a wider, brighter field of vision during night. There are also available optional xenon bulbs. Inside you’ll get a typical Kenworth dashboard which is slightly angled towards the driver. Sadly, compared to other truck in the segment the build quality is a bit poor and the fittings are third class. The materials aren’t something special either, but this is what you’ll usually get in a highway truck as they are selected for durability over luxury. The NVH (Noise, vibration, and harshness) levels are more on the noisy side as the engine can be heard all over the cabin. The controls are placed a bit awkward for our tastes and we’ve find a better overall ergonomy at Freightliner and even International’s trucks. On the other hand, we like the central instrument cluster as is one of the most attractive units found so far. Directly in front of the driver, there are two main gauges flanked by other small units and all come with tasty shiny surroundings which give them an air of sportiness. Above them there is a rectangular information display which keeps you informed about different vehicle stats. There is also available an optional NavPlus navigation system which comes fitted into the dashboard. The system features a simple-to-use touch screen which offers easy access to a full range of features. The seats aren’t something to rave about, as despite of their wide range of adjustments it will be hard to find a comfortable driving position. Moreover, the so called adjustable steering wheel features a very small traveling of only a few inches which makes its tilt and telescoping adjustments close to useless. The Sleeper cab offers some extra amount of space and is fitted with a useful bunk bed that can be lifted to provide additional storage space. There are also two convenient cabinets available with a useful table and place for a TV. 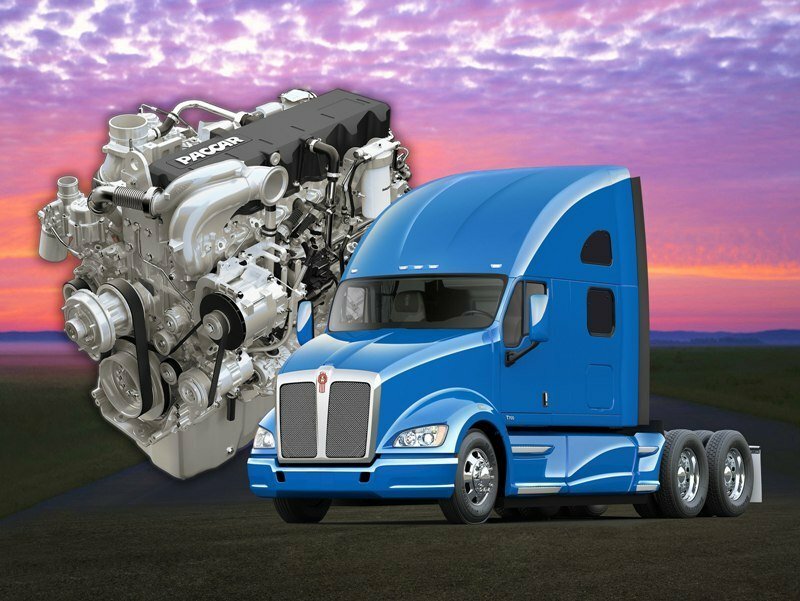 Under the hood, the Kenworth T700 is equipped with the tried and tested Paccar MX engine. With a maximum power of up to 485 hp and a peak torque of up to 1.750 lb.ft. Thanks to its generous power outputs the engine is ready to deal with almost anything you’ll ask of it without thinking twice. It’s also pretty efficient too, as it fitted with the Selective Catalytic Reduction (SCR) technology which is combined with an exhaust gas recirculation (EGR) system. To be more reliable, the integrated lubrication module of the engine uses filters, a thermostat and an oil cooler joined directly to the engine without external lines. The unit was also designed with high strength and lightweight components for maximum performances. The power is sent to the wheels by means of a Eaton UltraShift PLUS automated transmission. It offers smooth shifts and has well choose gear ratios which helps it to deliver the proper power without affecting too much the fuel consumption. One of our favorite features of the UltraShift Plus transmission is its ability to hold on a grade while you foot goes from brake to accelerator, which makes driving this big rig much easier. The truck’s front axles are rated from 12,000 to 14,600 lb, while the tandem rear axles can take up between 23,000-lb single to 46,000-lb of load. The truck comes with a set-back front axle configuration which offers a optimum wheel cut and a good weight distribution, but despite that the turning radius is far too wide compared to other vehicles in its class. The ride isn’t as comfortable as other trucks either, as the 59-inch taperleaf springs aren’t able to keep the cabin well balanced. The power steering is generally pretty good and responsive, but is a bit stiff. while the turning radius could’ve been tighter. 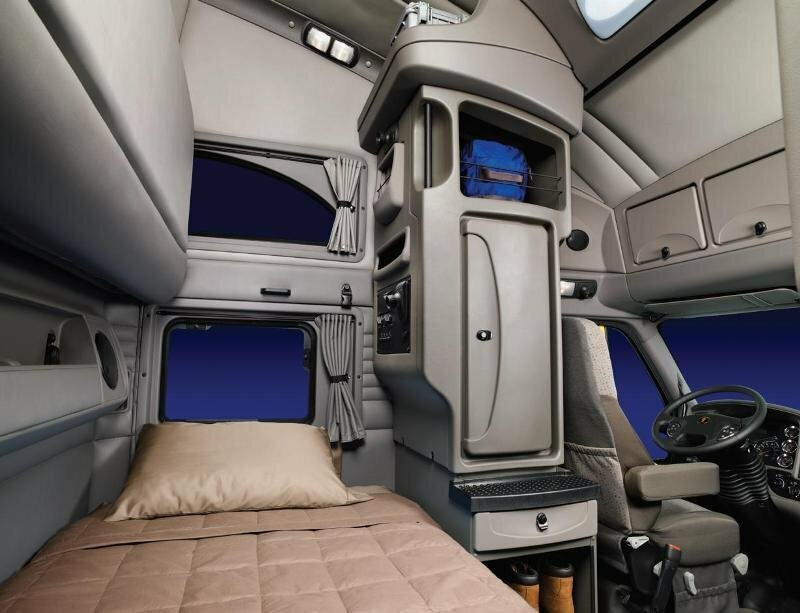 When looking at the big picture, it becomes obvious that if Kenworth won’t give more attention to its interior build quality it will start to lose some serious ground in the eyes of truckers. Judging by today’s standards the sound isolation and the materials are far behind other trucks in the segment and Kenworth should do something to recover the lost terrain. The ride is also a bit stiff, while the turning radius is too wide compared to models like the Freightliner. Apart from that, the T700 offers all those goodies that put Kenworth among the top truck sellers in the US. It has a good reliability, powerful engines and one of the best fuel efficiency in the business.